As part of its ELECTRONIC PUBLICATIONS ON-LINE, the Oriental Institute Publications Office announces an additional letter, P, for the Chicago Demotic Dictionary, edited by Janet H. Johnson. This document is available as an Adobe Acrobat Portable Document Format (PDF) file. The magazine Annales d’Université „Valahia” Târgovişte. Section d’Archéologie et d’Histoire has appeared since 1999, representing an opportunity to valorize the research work of the academic staff from the History-Archeology Department, and also a chance to valorize the research work of the young teaching staff who carry out their activity at the Research Centers accredited by CNCSIS – „Preistorie, arheologie interdisciplinară şi conservarea patrimoniului cultural mobil” (Prehistory, Interdisciplinary Archeology and Conservation of the Movable Cultural Patrimony) and Centrul de Cercetare al Istoriei Relaţiilor Internaţionale „Grigore Gafencu” (The “Grigore Gafencu” Center for the Research of the History of the International Relations). For objective (especially financial) reasons, in order to maintain our quality standards, from the moment when the Annals of “Valahia” University began to appear on sections, sometimes we have published the results of two years of researches in a single tome, trying to preserve the continuity of the publication. Beginning with 2008, the magazine will appear with two annual issues. The themes have remained constant throughout the issues that were published so far in the domain of history and archeology, always covering all the historical periods – prehistory and archeology, history and archeology of the Middle Ages, modern and contemporary history. The structure of our magazine maintained its classical form: Articles and studies; Notes and Debates; Reviews. The standards of quality have been ensured by the presence in the Publishing Team and Advisory Board of the most representative personalities in the domain of research for each historical period, from Romania and abroad, in the sense that each contribution was submitted to the appreciation of the members of the magazine’s Publishing Team and Advisory Board by means of specialized reviews. The articles and studies published in the Annales d’Université „Valahia” Târgovişte, Section d’Archéologie et d’Histoire have been published integrally in a language of large international circulation (English, French, German, Italian), having a permanent scientific impact, in the sense that they have often been quoted in the studies of our colleagues from Romania and abroad. At the same time, Annales d’Université Valahia Targoviste, Section d’Archéologie et d’Histoire have been included in several international databases. 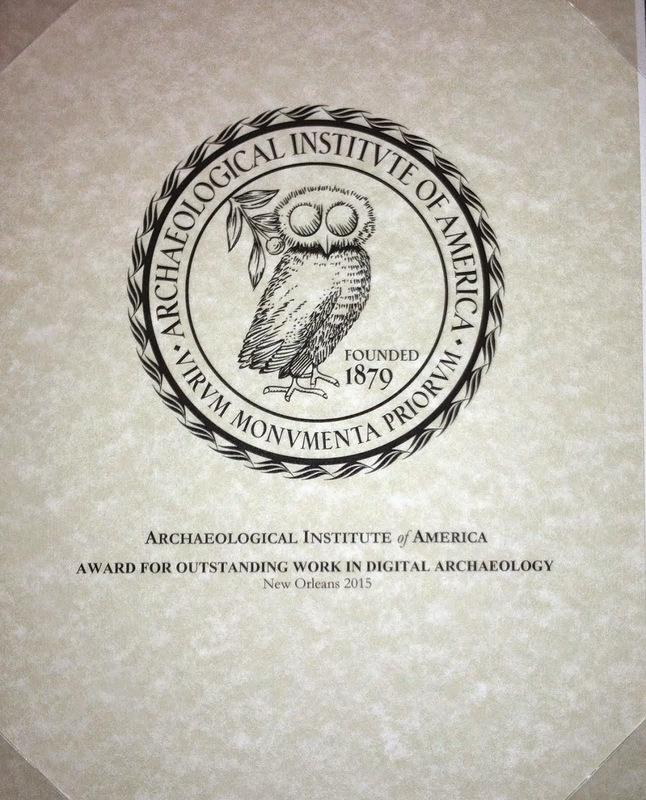 The magazine is remarkable for its extremely original contributions in the domain of prehistoric archeology, produced by a school that has been acknowledged in its domain and whose results have been appreciated not just nationally but also internationally, given the fact that it has carried out many research programs in collaboration with numerous universities from Europe, like those from Liège, Bordeaux I, Aix-en-Provence, the Musée de l’Homme and the Institute of Human Paleontology from Paris, Erlanger and Köln University from Germany etc. The results of such researches have often been the topic of articles included in the Annales d’Université „Valahia” Targoviste, Section d’Archéologie et d’Histoire. At the same time, in this magazine can be found studies of many of our colleagues from other universities from Romania and abroad. The magazine is present in the libraries of many universities from Europe and the U.S.A., in most of the universities from Romania where there is the specialization History and in the libraries of history museums, and of other institutions with which we have had a permanent exchange, which has led to the improvement of the patrimony of publications of “Valahia” University Târgovişte. Recent issues of The Journal of Hellenic Studies are now online Art Cambridge University Press. This seems to be a recent development, at least it is not yet mentioned on the website of The Society for the Promotion of Hellenic Studies. The Journal of Hellenic Studies (JHS) is recognised internationally as one of the foremost periodicals in the field of classical scholarship. It contains articles on a wide variety of Hellenic topics including Greek language, literature, history and art and archaeology in the Ancient, Byzantine and Modern periods, as well as reviews of recent books of importance to Greek studies. A subscription to JHS includes the annual volume of Archaeological Reports, which provide fully illustrated accounts of archaeological work in Greece and other parts of the world that are sites of Greek culture. Back issues of the Journal of Hellenic Studies (from 1880 to 2005) and Archaeological Reports (from 1953 to 2005) are at JSTOR. Contents of JHS 120 (2000); Contents of JHS 121 (2001); Contents of JHS 122 (2002); Contents of JHS 123 (2003); Contents of JHS 124 (2004); Contents of JHS 125 (2005) Contents of JHS 126 (2006); Contents of JHS 127 (2007); Contents of JHS 128 (2008); Contents of JHS 129 (2009). A guide to site indices and Regional reports from Archaeological Reports can be downloaded here. Gli Annali del Dipartimento di Filosofia dell'Università di Firenze riflettono le ricerche scientifiche e le iniziative di studio legate all'attività del Dipartimento. Pubblicati dal 1979 al 1984 con il titolo di Annali dell'Istituto di Filosofia dell'Università di Firenze (Olschki, voll. 1-6), hanno successivamente assunto l'attuale denominazione (Olschki, 1985-1993, voll. 1-9). La nuova serie, iniziata col vol. I del 1995 presso le edizioni LED, è pubblicata dalla Firenze University Press a partire dal vol. VIII del 2002. The Archimedes Palimpsest is a medieval parchment manuscript, now consisting of 174 parchment folios. While it contains no less than seven treatises by Archimedes, calling it the Archimedes Palimpsest is a little confusing. As it is now, the manuscript is a Byzantine prayerbook, written in Greek, and technically called a euchologion. To make this prayer book, scribes used parchment that had already been used for the writings of other books. They used a book containing at least seven treatises by Archimedes, a book with two speeches by Hyperides, fragments of a philosophical text most likely written by Alexander of Aphrodisias, fragments from a Life of St. Pantoleon, fragments from a Menaion, and two unidentified texts. ArchaeologicalTraces.org is an autonomous, archaeological, international editorial project, created and managed by the A.T.P.G. Society, an Italian Archaeological Association composted by doctoral, MA and BA students. The Project is scientific and didactic. - Share prehistoric and protohistoric archaeological information and research with the Open Access philosophy. - Assure that Prehistoric and Protohistoric research become more user friendly and widely accessible than any printed paper, considering the free of charge aspect of this way of communication. - Assure free publication and visibility to Experimental Archaeology. - Give to graduates the possiblity of publishing their dissertations, free of charge, and to guarantee the complete intellectual property of their work with the use of Creative Commons Licenses. As part of its ELECTRONIC PUBLICATIONS ON-LINE, the Oriental Institute Publications Office announces an additional letter, M, for the Chicago Demotic Dictionary, edited by Janet H. Johnson. This document is available as an Adobe Acrobat Portable Document Format (PDF) file.